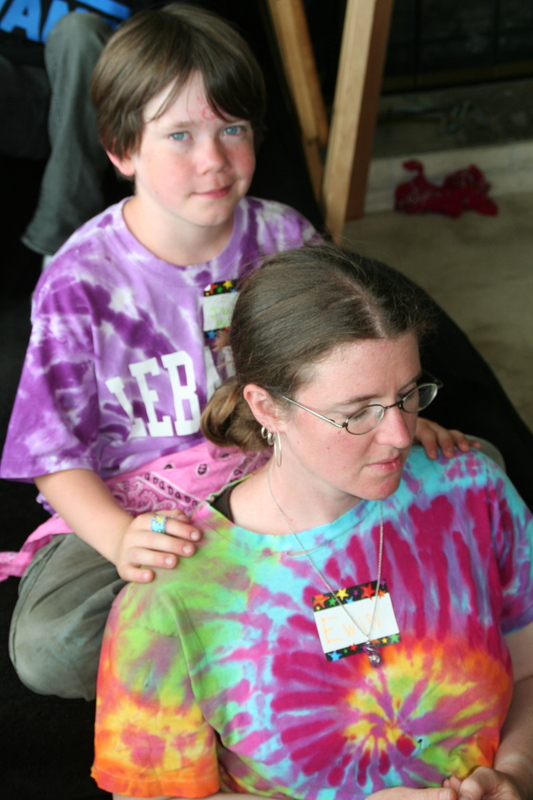 Reiki Kids has been written and developed by Barbara McKell and is taught by Josslyn Streett in Sequim, Washington. Pre-requisite – In order for a child to be signed up for the Kids Reiki Class, at least one parent or guardian of that child must be already attuned to Reiki and be actively working with their Reiki in order to be able to work with their child after the class. I am only with them for one day, you are with them every day. If your child wants to take a Kids Reiki Class and you have not taken Reiki yet, email Josslyn about upcoming Reiki beginner classes for your child’s parents. Bringing together Reiki and children is a sure recipe for magic on Earth. This program is designed for those ages 6 and up who march to their own beat and hear the sounds and feelings of all. These young ones are manifest on this planet as teachers, guides and leaders and bringing Reiki to them enables clarity and validation to their inherent abilities. An attunement will be offered during this workshop, the acceptance of which is entirely up to the child. The emphasis will be placed on experiencing Reiki and putting words and feelings to this experience through art, movement and sound. 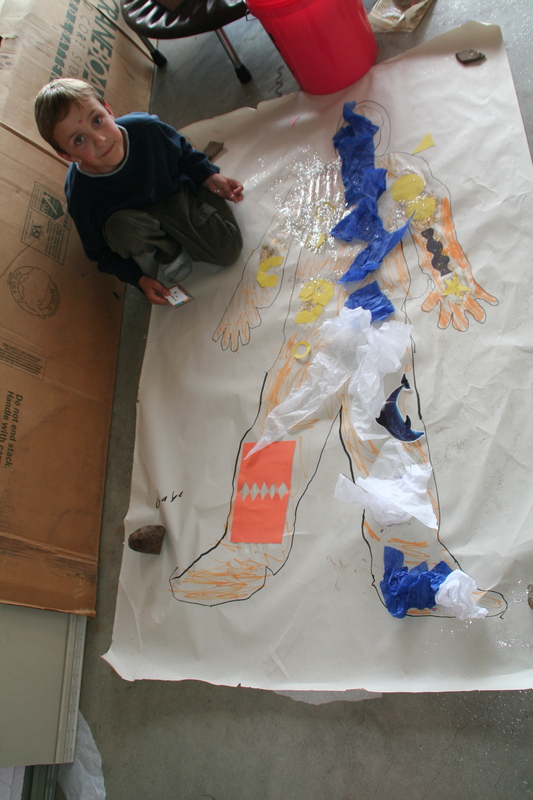 The FUNshop is conducted in a child friendly environment. Children under 6 years of age may participate with pre-approval by Josslyn and previous Reiki exposure through their parents/guardian. There will be creative work and physical play. Comfortable clothes are essential. X.H. 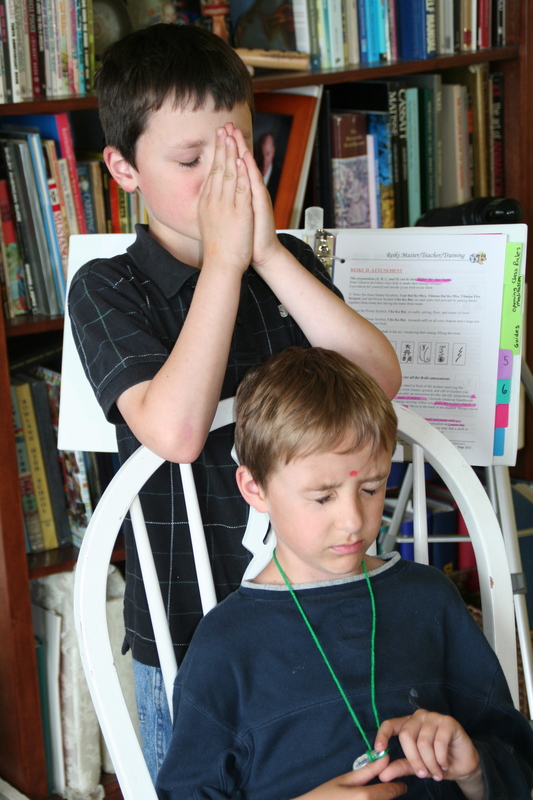 , age 8, in the Gassho position preparing to practice Reiki on his brother, G.H. also age 8. The next Reiki class will be scheduled when parents tell me their kids are ready. Contact Joss if your child is interested in attending a Reiki class. 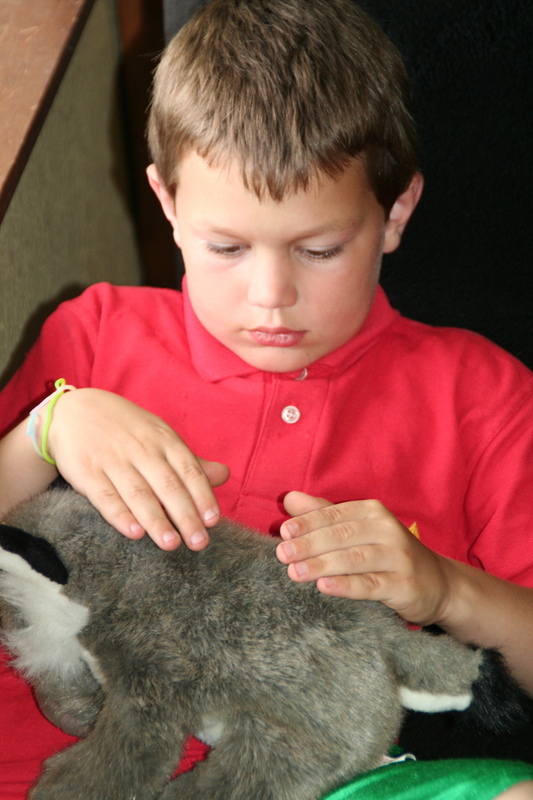 The class usually lasts about 5 hours depending upon how much fun we are having and how many kids are attending. The kids rarely are ready to go home when the class is over. They have that much fun. Parents/guardian’s must have Reiki first, actively working with it and they must attend with their child/ren. I am their teacher for one day, YOU are their teacher for a lifetime. Also, parents are encouraged to remember, with Reiki, there is no wrong. Everything the kids do is perfect even if it looks like they are not paying attention. If there is a discipline problem that Joss or her teachers cannot handle with Reiki, she will at that point ask for help from the parent. However, with Reiki all around, that rarely happens. Cost: $80 per child includes Reiki Kids book, certificate and Reiki stone/crystal. Full amount due to register. Food: Due to allergies, a sack lunch and snacks are brought by each individual child and a refillable water bottle. Reiki Kids is written & developed by Barbara McKell & taught at Rain Shadow Reiki by Josslyn Streett, Usui Reiki Master/Teacher, Karuna Reiki® Master/Teacher in Sequim, WA.